This seems like a cool next project for Lee Jong Seok and one without too much time commitment. Lee Jong Seok has signed on for a 2-episode SBS drama called Hymn of Death (or Praise of Death) based on the dramatic real life of Korea’s first soprano singer Yun Sim Deok. 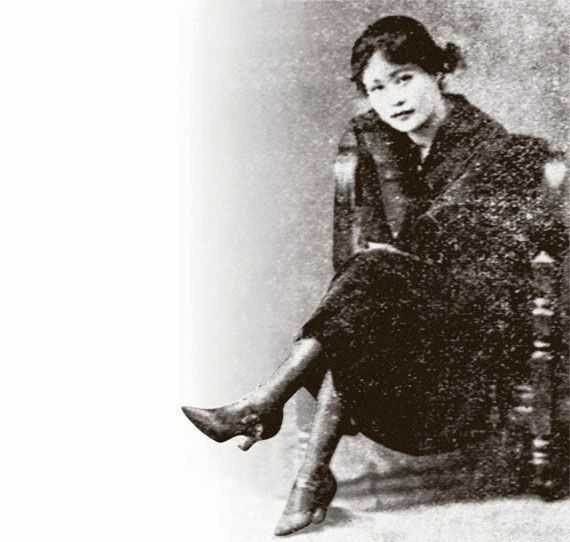 She was born in the late Joseon era and studied abroad in Japan at the Tokyo Music School, recording her most famous song called Hymn of Death. She fell in love with a talented Korean writer named Kim Yoo Jin while both were in Tokyo but he had a wife and child back in Korea. On a ship heading back to Korea, the two jumped overboard and drowned, marking a theatrical end to their tragic love affair. Her life story has been adapted into two Korean movies over the years as well as stage performances, and this upcoming 2-episode drama will be directed by the PD of While You Were Sleeping. Surprised its only 2 episodes??? Is he preparing for enlistment already? OMG! !It’s a really tragic ending! !I hope they enjoyed their romance a little bit. I really hate betrayal or affair thing. Ught… While we hate about an actress dates a married director so much, why should we enjoy this ‘based on real life-affair’ drama..?? While we praise and mourn for their tragic love story, his wife and child were crying for their love. Unfair. Is he going to military service after this one?? Oh no, I can’t wait another two year for a normal-length drama. Our jongsuk! Don’t say it is last drama before enlistment.Two-episode drama is not enough. Cant wait to see it…such a tragic love story. Hate extramarital love affairs. What a stupid move to end the precious life and leaving a child fatherless and woman widow on top of that. Aren’t two movies enough that we are even getting a drama on it. Hiw to emphatise with this love story? And Lee Jong Sook is too young to play this role. Should’ve casted someone matured. Totally agree with you someone older with more depth in acting. Some one who can give the depth portrayed in movies as it does not given much time to develop with more episodes. Lee Jong Sook is at right age to play the character but I doubt if he can portray the depth required to play such character. Someone like Yoo ah In would do wonders with such plot. But lately YAI is turning into a loony and I’m worried he would harm his professional life. @Female I wonder what’s up with Yoo Ah In these days.He’s a good actor but I feel like his agency needs to step in or maybe his best buddy Song Hye Kyo could have a word or two with him. Yoo Ah In was always a bit cringy but I used to overlook it because he is such an excellent actor and because he is still young. But these days he seems neurotic. He is actively inviting hate for himself. If you are familiar with Epik High’s Tablo he also used to be same in his younger days. Talented but couldn’t shut his mouth, fighting with trolls on his SNS, having unnecessary opinion about everything, trying hard to look cool but ending up being cringe and antagonising people. Maybe Yoo Ah In should get married to a matured woman who could control his wild side. It won’t take a second to destroy his career which he built with such dilligence over years. I like that he is challenging a new role.Thats a good thing.But honestly, I agree.the role needs someone with mature look and depth in acting.Not to mention, are they going to cast a noona or noonas for the role of mistress and wife..and will the child be a baby?Because if they cast idol actress/inexperienced rookie actress in either of the roles.its not going to work. In reality both Yun Sim Deok and Kim Yoo Jin were 29 at the time of their death. So LJS matches the age. Yun Sim Deok had strong personality so they have to cast an actress same age and great acting chops. The role of the wife will be almost no existent because their romance blossomed outside of Korea and outside of their hometown. So this will be in historical setting? How can LJS portray a historical person? His face is too plastic, there was no plastic surgery back then. They better get the female casting right! This could be great if they do. Kim Ye Won as co lead please. Her singing voice is angelic and yep that’s my 2 cents worth. Hopefully they will cast someone who is a great singer and can act too. Good on LJS for securing this role too! They should get an actress who can sing instead of some idol. Especially since LJS is popular enough not to need any idol add-ons. Kim Ye Won born 1989 is a musical actress as well and is highly rated. She was runner up in King of Masked Singer 2014 and is not an idol. Sol Ji from Exid won and KYW was second. I know there are other Kim Ye Won’s but I’m referring to the actress who was supporting in Tomorrow with you; Suspicious Partner and Revolutionary Love. She has such a sweet angelic voice and was headhunter by JYPE back in 2015. So yep that’s my pick but knowing the producers for this drama they’ll most likely choose an idol so who am I to argue with their choice. Sorry Kim Ye Won from JYPE the actress not KYW the singer from Jewellery. I have faith in Lee jong suk,he will kill it with his performances if it’s well written hopefully it’s well casted too. at his star status level, LJS should be able to handpick his co-star. looking forward the news of the lucky actress. but the story is very depressing with a suicidal element which is not my cup of tea. ummm he could handpick but the actress also must like the role and must want to work with him too.Its not a one way street.But of course, a good actress is always welcome.He usually has good chemistry with all his co-stars.Its only Suzy and Jim Se Yeon that I didnt see the chemistry. Finally, Lee Jong Suk in a role that will be different from his other roles. He needs to break out free from his flower-boy acting.